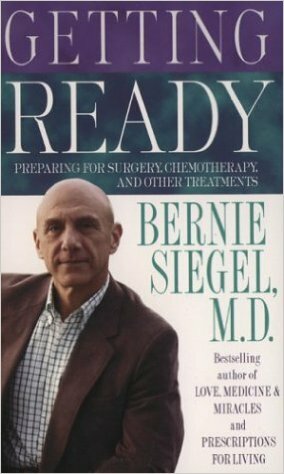 Q & A with Bernie – September 5, 2016 | Bernie Siegel M.D. My sister is dying of pancreatic cancer (Stage 4, not able to do chemo due to not feeling strong enough). I haven’t been particularly close to her, but we’re generally on good terms. Other than letting her know I’m here for her, what can I do? It depends on her attitude and physical health, but tell her to let God know what she wants. She can tell God to cure her or make any changes she desires. 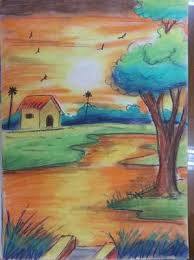 Ask her to draw an outdoor scene for you with all the colors available in a box of crayons, and also to draw a picture of herself. You can scan the drawings and send them to me to see where she is—meaning, is she ready to die or not. Some of my books and CDs can help. Browse through the titles and descriptions on my website. Whatever can make her happy is the key to the moment and her future. I have been diagnosed with progressive Langerhans cell histiocytosis (LCH) in my lungs and am waiting for test results to see if I have DI and kidney damage. I am doing a lung function test to see if my lung function has gotten worse, stayed the same, or improved. Unless it has improved, my doctor wants me to do 2-CdA chemo, which is classed as savage chemo. I am unsure about doing this as it doesn’t have very good results. It was suggested to me by a friend who read your book. Could you possibly suggest which book or audio book I should use? I am on Cannabis and 3D Turmeric and am embarking on starting juicing to help. Any suggestions would be gratefully received. Yes, I recommend that you start with Love, Medicine & Miracles, and then the Art Of Healing. There are many others that you should browse through on my website to find those that appeal to you. 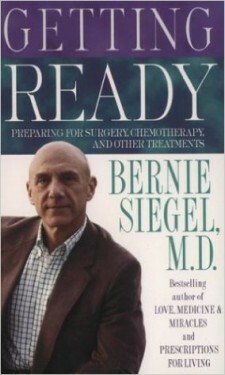 (www.berniesiegelmd.com). Listen to my CD entitled Getting Ready which will help you prepare for therapy. It is your choice, but your body experiences what your mind believes. Complementary therapies are very useful, and I recommend www.lef,org as a resource. Those seeking more information on customized cancer care and research programs can go to www.is-canceralliance.com or call international strategic cancer alliance at 610 628 3419 or email info@is-canceralliance.com. I am an Institute for Integrative Nutrition (IIN) student, and I just wanted to pass on my thanks for the amazing talk you gave. I’ve since listened to it five times and shared it with friends and family. I cried and laughed and found peace in my heart. Your joy, compassion, and wisdom are tangible. I told my husband that you are a rare breed, reminding me of my grandfather who many say the same about. They don’t make people like you these days. May God always bless you and your family. 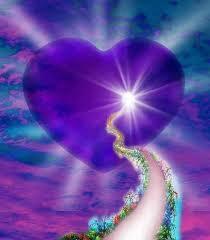 You see in others what is within you. I am only the coach. You are the gold medal winner. This entry was posted in Mind / Body Medicine, Psyche & Soma Revealed by Images, Q & A with Bernie, Relationships and tagged cancer, complementary medicine, integrative medicine, Langerhans cell histiocytosis, Love Medicine and Miracles, pancreatic cancer, The Art of Healing. Bookmark the permalink.